If you aren't familiar with the early martyr Polycarp, or the challenges facing Christians in his day, this article at First Things is a great starting place: Faithful Unto Death, by Timothy George. Early Christianity turned the world upside down. It's easy to see why, if you study the early church. This session on Anabaptist History is about "Growth and persecution of the Swiss Brethren" - and a lot more. Among other things, it explores what can turn an otherwise civilized person into someone who will inflict hardship, torture, or death, on another human being. It also notes that in recent years, people in Europe have become increasingly aware of the persecution of the early Anabaptists. Kindle freebies: Last day for "Notes," first day for "Pug"
Today is the last day to download the Kindle edition of Notes From Hiding, the complete novel, for free. If you miss this deal, you'll still have a chance to get the book free for Kindle - in serial form - from September 12-15, different parts each day, counting down from the end to the beginning. ​Trouble Pug is free-to-own for Kindle today and tomorrow. ​These books may also be read for free on Kindle Unlimited, but only for a limited time. On or about September 16 they will go out of that program so that they can again be offered at outlets other than Amazon in ebook form. Notes From Hiding and Trouble Pug are also available in trade paperback. ​Notes From Hiding's main characters are teens who'd been born about the time The Hidden ends. Other books set in the same dystopian world that's shakily returning to freedom are The Smolder, The Birdwatcher, The Unexpecteds, and The Historian. While there's a little overlap with some of the books, each book has different characters, and books are set in various locations. ​Trouble Pug, a story of two girls working at staying friends despite their differences and difficult circumstances, features a bit of time travel (which accounts for some of the difficult circumstances - hello, getting caught as stowaways on the Lusitania on May 7, 1915!). Notes From Hiding, the complete novel, is scheduled to be free Wednesday, August 30, through Friday, September 1. ​Trouble Pug is scheduled to be free Friday and Saturday, September 1 and 2. ​Notes From Hiding in serial format will be free in stages September 12 through 15. This time, just to try something different, the parts will be offered in reverse order. Isannah Here and To Whom It May Concern are scheduled for Tuesday, Dear Neighbor for Wednesday, and Dear Citizen and Dear Invader for Thursday and Friday. ​These will be the last Kindle free deals for the foreseeable future. Also, these books will leave the Kindle Unlimited program when the current Amazon contract for each of them ends (September 16 or 17). The good news is that after they leave Kindle Unlimited, they can be restocked in ebook in non-Amazon markets around the world again. For those of you interested in church history in general, and Anabaptist history in particular, Dean Taylor taught a five-week course in 2012, which is archived at Radical Reformation. I've only watched days two and three, but it looks promising. I'm coming to this with a background of having studied this subject on my own for a few years, so that probably helps. But I'm guessing that even newbies to the subject will be able to pick up a lot, and understand most of it. ​He's also helped produce some documentaries, which are on YouTube. Here's a short one shot in Romania. Both The Birdwatcher and Why We Raise Belgian Horses are in the middle of giveaways at Goodreads right now (US only). 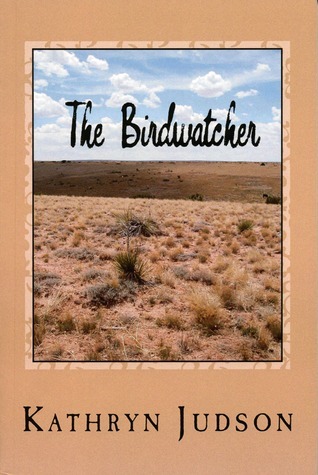 ​If you're hoping to get a copy of The Birdwatcher sooner than that, the ebook is currently free at many retailers, and only 99 cents at Amazon. Here's a recent talk by David Bercot, on obstacles to church unity, and obstacles to following Jesus. It's got some good food for thought, I think. There's also some church history sprinkled in. The Scroll Publishing YouTube channel has a number of talks on what the early church taught (which is sometimes rather different from what's become common). If you're new to the subject, you might want to start with the video on what they believed about salvation. That's where David Bercot clarifies what he means by the early church, and explains the criteria he's used for deciding what to put forth as what they taught (multiple men in good standing with the church must have written about it, and all must have been in agreement, etc.). Also, what they taught about salvation is foundational for the other subjects. ​However, this is the one I listened to today, and it shares some common sense, straightforward teaching on parables like the foolish and wise virgins, and the parable of the wedding feast, and more. If you've never read up on what the early church taught, you might be surprised, especially if you grew up in a church that teaches 'once saved, always saved.' If, however, you've studied the early church writings, most of these will probably be more or less what you'd expect. The bit on the foolish and wise virgins caught me a bit by surprise, because I'm not sure I've heard anyone explain it like that before, but it makes sense.